The Chosen One might look like a pretty small and thin book, but the words inside have depth and meaning, weight and purpose. It is a story of Kyra, a young girl living in a cult like community of polygamists. One day, when her whole family has gathered together to greet the Prophet, the leader of the group, she's told that in a month she would be married of to her uncle who happens to be much older that her father. 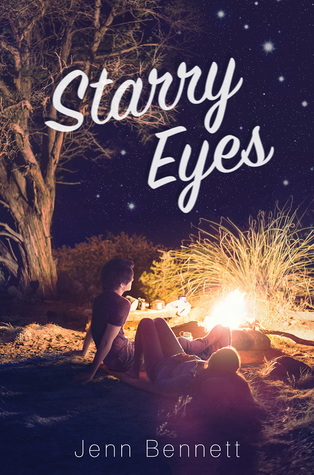 Though Kyra has been raised within the religious, polygamist community, she understand that what is about to happen to her is wrong - marrying a young, under-aged girl to her old, blood relative isn't the right thing to do. Even if the Prophet says that it's "God's will". Kyra has a secret. For a while now she's been visiting a county mobile library, borrowing and reading books that the community she lives in considers to be satanic. She's also in love with a boy from the community, a boy that's not her "chosen one". All of this seems innocent until the point Kyra learns about the plans for her future. Though she has felt guilty about her actions, mostly because she's been thought to feel guilty about "normal" things for her whole life, she knows that the books, the mobile library and the boy might be her ways to get rid of the miserable future that's waiting for her. But getting free comes with its consequences. I found The Chosen One to be a shocking and touching read. But it also angered me. Not because it wasn't good or well written. It angered me because I know that things like this happen every day. People join communities like the one Kyra lives in, looking for hope and a new start. Sooner or later, in the worst case scenario, especially the women lose their rightful position in the world and the society and become like puppets for the men. This is exactly what happens in 'The Chosen One'. We don't get to hear how the family joined the community and how long they've been there, but we know that within the community women are expected to act according to the will of men. Young girls are married off to old men when young men are sent away. Violence is used to keep the people in control. Escape is not possible. It is so difficult for me to understand how people allow something like this to happen to themselves, even when I know that it's probably mostly out of fear. It is something I'll probably never understand, and to be honest, I don't think I even want to. But it's books like The Chosen One that open my eyes to these things and make me think about how good my own life is. Adults who do not read young adult literature often explain that they don't do so because the books consist of teenage angst and nothing more. 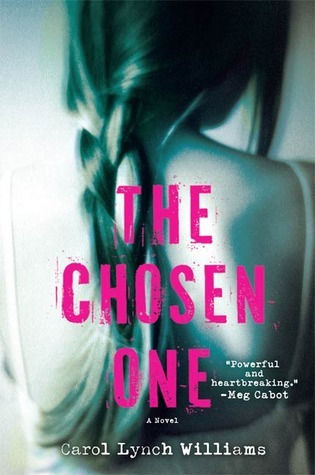 For those, I would like to give a copy of The Chosen One just to show that young adult literature is so much more than just teenage angst and high school problems. It's emotional, touching and relevant and a reader of any age, be it 15 or 55 definitely can find something to think about, something to gain from the reading experience.